Pam helps you create a distinctive brand identity. We provide tools and strategies to cohesively market your brand. BRANDING IS WHAT YOU ARE. MARKETING IS WHAT YOU DO TO PROMOTE YOUR BRAND. For marketing to be truly effective, brand development needs to precede your marketing efforts, and evolve with the brand. Think of it as the cornerstone of all your marketing efforts, just as your website is the hub of your business. 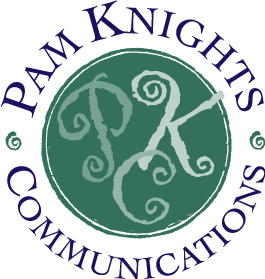 Pam has the experience to bring your brand to life! develop marketing strategies designed to grow your business. Building a solid brand doesn’t just happen overnight. It’s a process and a smart business investment. developing an effective and cohesive brand for your business! Want to learn more about what goes into creating a well-defined brand? An expression of a business’s personality, core values, mission, vision, unique story, brand promise and niche within its industry. The way your customer perceives you through their experience with the brand—whether or not they have purchased from you. An emotional connection a person makes with a product, person, or business based on shared values, alignment with your story, mission, and vision, and the need/benefits your business fulfills. A culture, a lived experience of the brand from the inside out—for employees as well as the consumers of the brand. Clear and consistent messaging through print, digital, email and social marketing communications. Develop a logo and look, concise messaging, a brand strategy, and the communications tools needed to effectively build your brand within your market segment.